In the cold winter months, it is especially important that your construction site is properly maintained. The cold temperatures can add additional safety risks to your jobsite if it is not winterized correctly. There are several things that must be taken into consideration when winterizing your jobsite. During the winter season, there are safety precautions that must be taken into account when operating equipment. With the cold temperatures can also come high winds. When using a crane in windy weather, make sure to follow manufacturer recommendations. If your crane is inactive for 30 days or more, be sure that it is stored and maintained properly. Keep in mind that personnel hoists should not be used in heavy rain, icy conditions, or winds above 35 mph. Heating equipment may be needed on your construction site during the winter months. However, temporary heating equipment can be a fire hazard and it is important that the equipment you use is in compliance with local fire code. Make sure that you keep combustible materials away from heating equipment, such as wooden ladders. Check valves to be sure they are dry. Have your roof water tank checked to be sure it’s protected from freezing. When hydrostatically testing standpipes in freezing temperatures, follow NFPA 14. 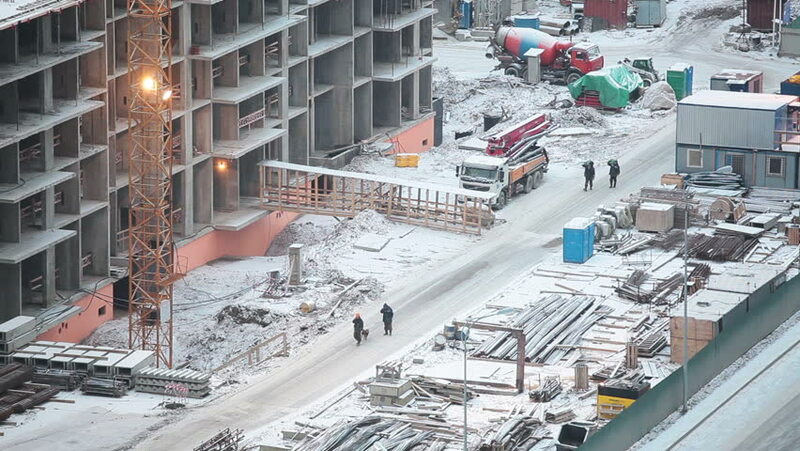 Ice and snow are a safety hazard on construction sites. Be sure that no work is done on scaffolds that are covered in snow or ice. Snow and ice are a slip hazard and could cause serious injury to a person working on scaffolding. When snow and ice is present on a jobsite, it should be removed as soon as possible to prevent injury. Gloves are a type of Personal Protective Equipment (PPE). Gloves in the cold weather protect your hands in lower temperatures, keeping your hands at their normal temperature and allowing full range of motion with no restrictions. Winter gloves provide an overall protective layer for your hands, keeping your hands warm and protecting them from the winter climate. Our supply store, Safety Supplies Unlimited, offers a wide range of gloves for the winter. Qualified safety professionals and more! If you are interested in learning more about the services and staffing offered by Total Safety Consulting, contact us today!